There is nothing better than settling down with a big plate of comfort food on a rubbish weather day. 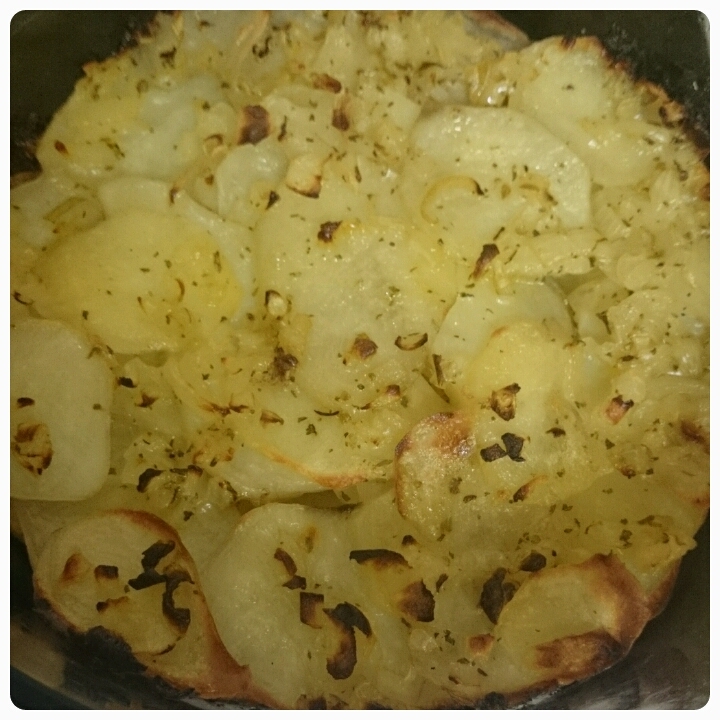 I normally opt for a good stew or cheesy beans on toast but I when I spotted Flora's recipe for potato and herb bake, I just had to have a go at making it, so I thought it was only fair that I share the recipe with all of you. * Preheat the oven to 220ºC and grease the dish you want to cook your meal in. * Melt the margarine in the microwave or saucepan if you prefer. * Stir in the onion and the seasonings into the melted margarine. 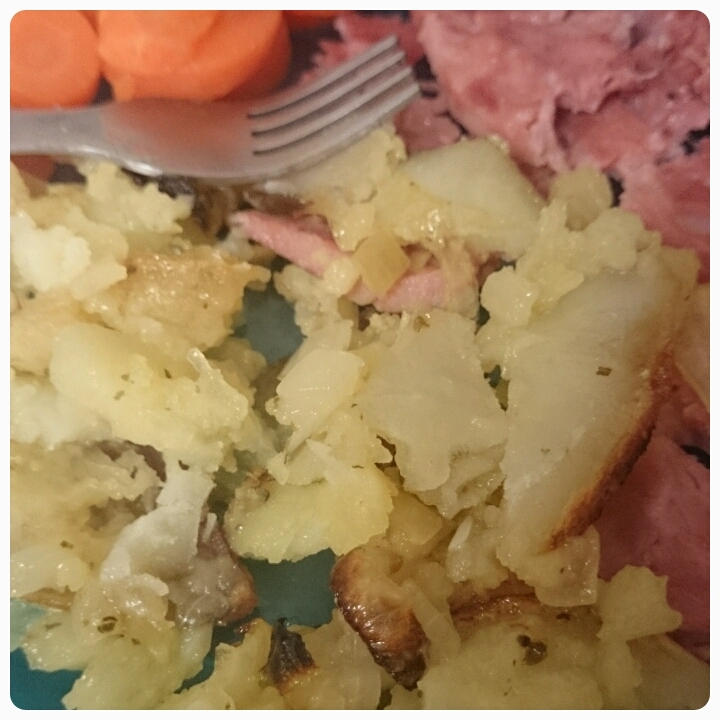 * Place a 1/3 of the sliced potatoes in a circular pattern on the plate. 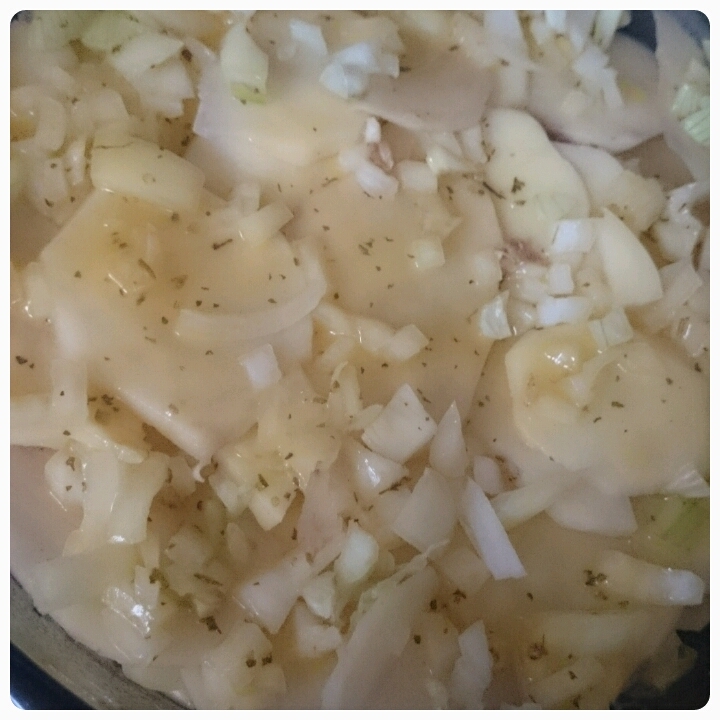 * Spoon a 1/3 of the margarine mixture over the potatoes, spreading evenly. * Repeat the last instruction two more times. * Cover and pop in the oven to bake for 30 minutes. * After this time, uncover and leave to cook for another 30 minutes or until lovely and crispy and golden brown. * Cut into wedges and serve. We ate ours with gammon and vegetables. What I love with this recipe is that you get a mixture of crispy and fluffy potatos all fused together with buttery goodness. I plan on making this again with cheese on top. mmmmmm. This post is in collaboration with Flora.